It's been a long road, but we've finally reached the end. Welcome to the last installment of our reading of Beetlejuice Goes Hawaiian! As Beetlejuice's "Juicifer" rampage continues, Lydia, along with the Beatniks (ugh), the Deetzes and Otho try to get everyone to safety and fight to stop the dreaded Beetlejuice! But how? It's not like the answer to stopping him was clearly established in the first film and even alluded to earlier in this one! Be prepared for ... See More the climactic... well, no. It's not really. Honestly, even with me telling you right now that the ending is entirely anticlimactic, you'll still be astonished at how much of a climax it isn't when it happens. I can even keep talking it up and it's not spoiling a thing. It doesn't matter what I say, you'll never imagine just how tame it actually is. So enjoy this last part! Next week, we have a tiny one-off for you as a palate cleanser! 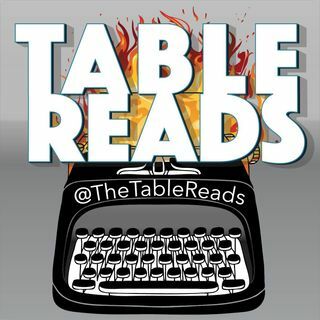 And, between now and then, expect a BIG ANNOUNCEMENT from Table Reads! We're very excited! So stay tuned!